Ryanair, Irelands No. 1 airline, today (17 April) celebrated the launch of its Summer 2019 Schedule from Ireland West Airport in Knock. 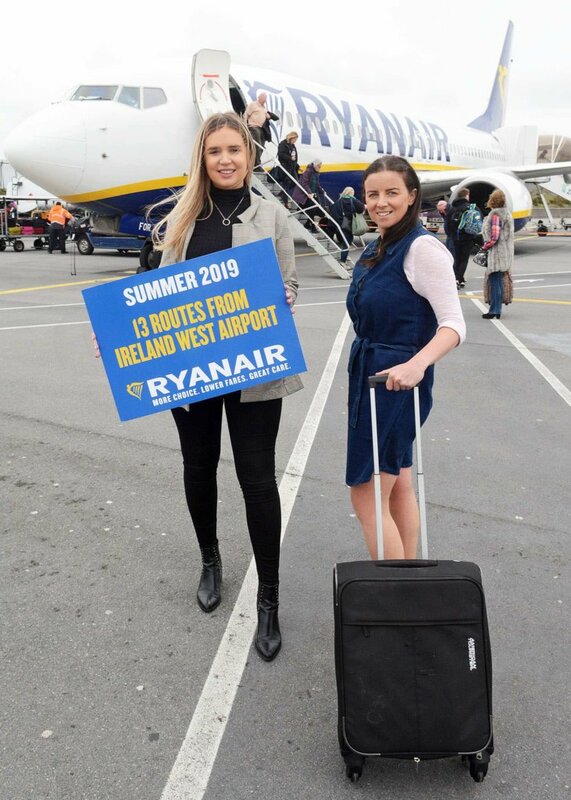 Ryanair’s Ireland West Airport summer schedule includes 13 routes in total, to exciting destinations such as Cologne, Milan Bergamo, Faro and Barcelona Girona. To mark the start of their summer schedule, Ryanair has released seats from Ireland West Airport at prices starting from just €24.99, for travel until June, which are only available for booking on the Ryanair.com website until midnight Sunday (20 April).